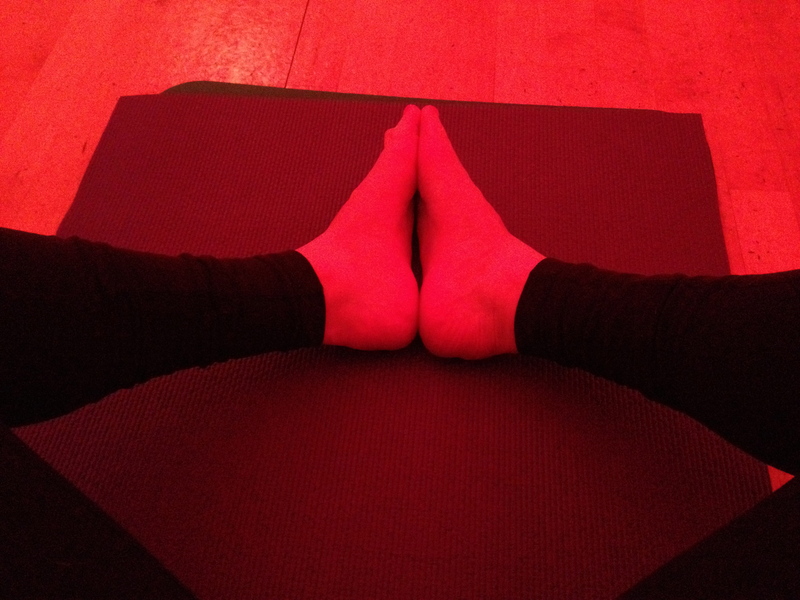 During my training for my half marathons I supplemented my days off between running with pilates classes. I was hesitant at first to enter the world of dance positions and flexibility, but after my initial classes I was hooked. However, once the accident happened pilates went out the window along with any heavy impact activities. I have devoted this entire year to impact free exercises, but I was recently cleared to ease back into a few activities, including pilates. So Monday night I took back what was so abruptly and unpleasantly removed from my athletic repertoire and enjoyed an hour of pilates. While I am of course no where near as flexible as I was pre-broken hip, I still felt very strong and was able to perform almost all of the exercise without any fear of injuring myself. I hadn’t moved my body in this way in months and I felt my old pilates skills falling back into place like puzzle pieces clicking together as I transitioned from plank to downward dog and moved from two-leg to single leg bridges. It was a freeing experience and I am excited to start incorporating elements of life before the accident back into my present. It will be a slow and timid journey at first, but before I know it I will be running again and this year will trail behind in my dust. 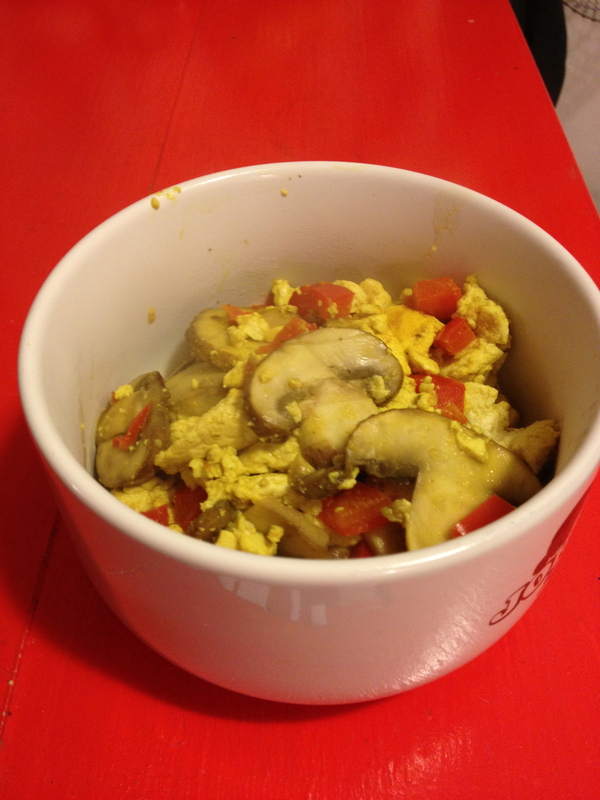 Earlier in the week I made my own tofu scramble, starting with cooking up some mushrooms and red pepper. 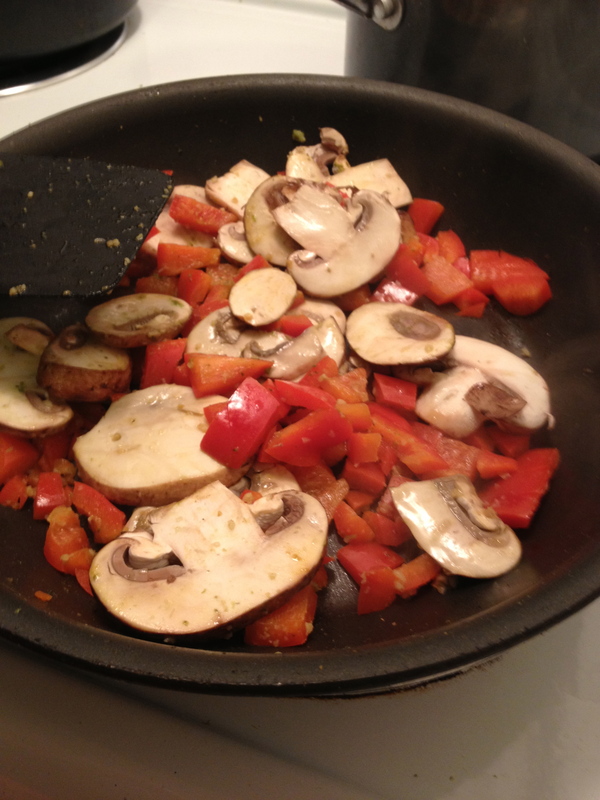 Then I mixed in some firm tofu and added turmeric, garlic powder and basil. 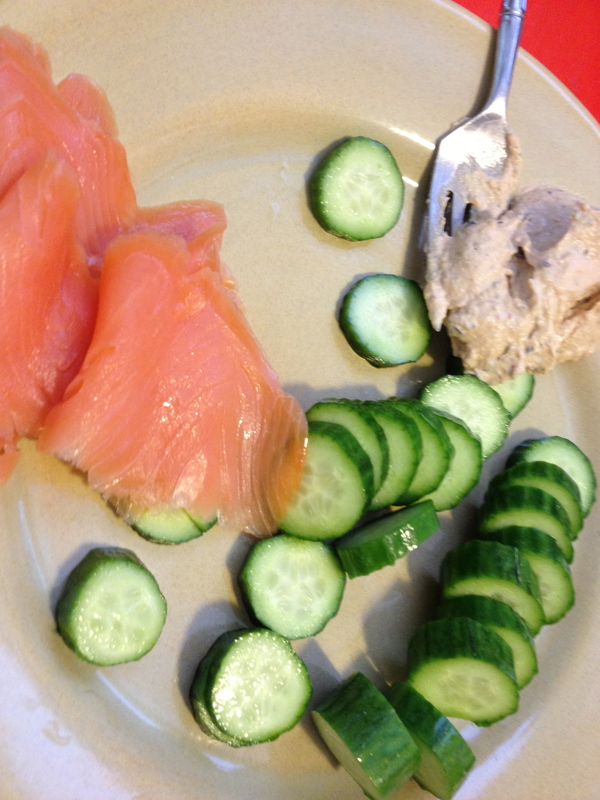 And then there was the time where I didn’t feel like cooking and made a plate of snacks: Smoked salmon, cucumbers and hummus fresh from the farmer’s market. 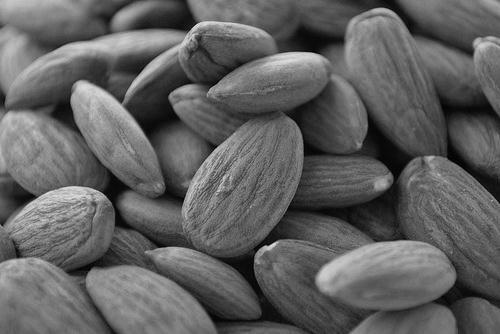 And of course I have to have my sweets. 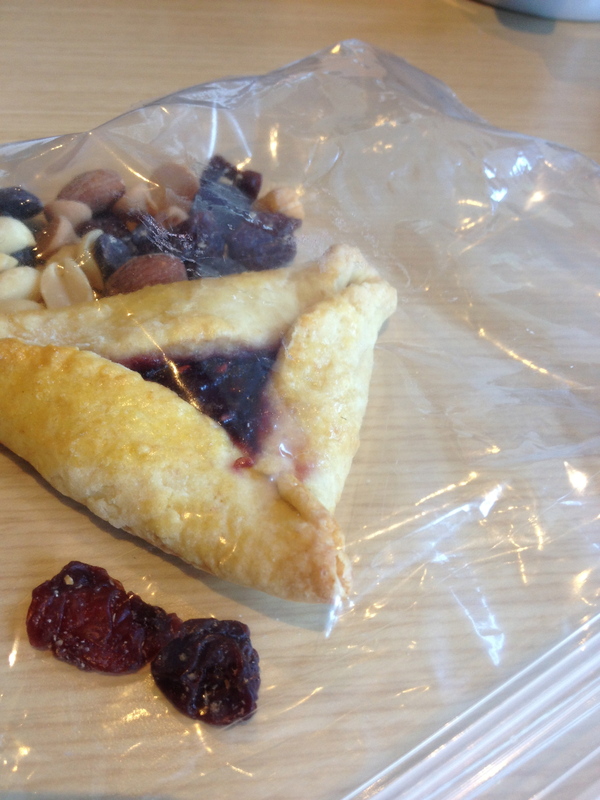 So I packed up a to-go bag of treats for work, including some trail mix and a homemade hamantaschen.